In the wake of the Brexit vote and the election of Donald Trump, globalization has found itself increasingly under the microscope. An active international discussion is underway, and the ideological viewpoint that the reversal of globalization and a return to protectionism and isolation will cure the world's ills is touted by many. 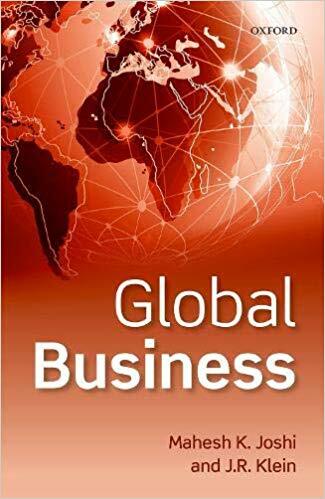 In the midst of the growing prominence of international interconnectivity and contradicting attention attained by skewed misinformation about global impact, Global Business is a straightforward commentary on mega trends in globalization. With insights and observations from academics, practitioners, and practical thinkers from around the world Global Business demystifies the economic, social, and cultural impacts of globalism and globalization, and presents a balanced explanation of what is happening and how it affects everyone. It highlights that technology and change are not new, and explores the path taken to reach our current interconnected global state. It encourages a realistic examination of where we are and invites a dialogue on where we can go together.